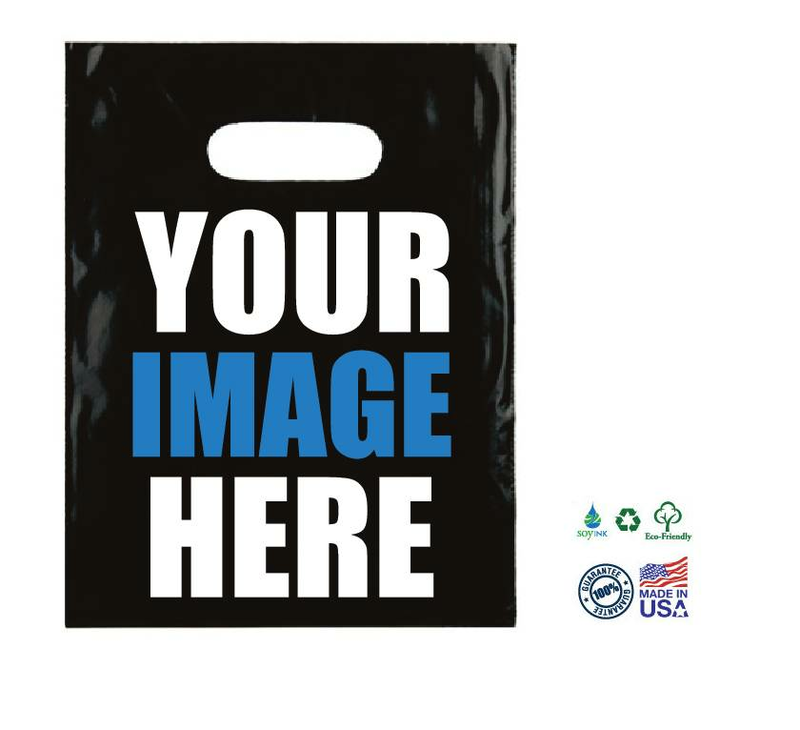 Recyclable bags are made from 2-mil low density polyethylene. 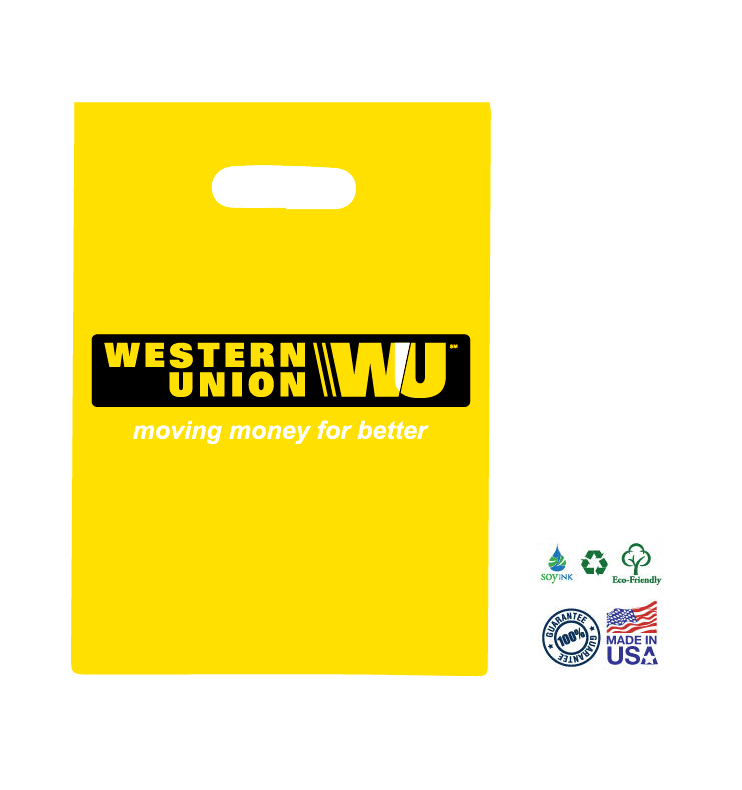 with single wall die-cut handles, ideal for lighter weight items. 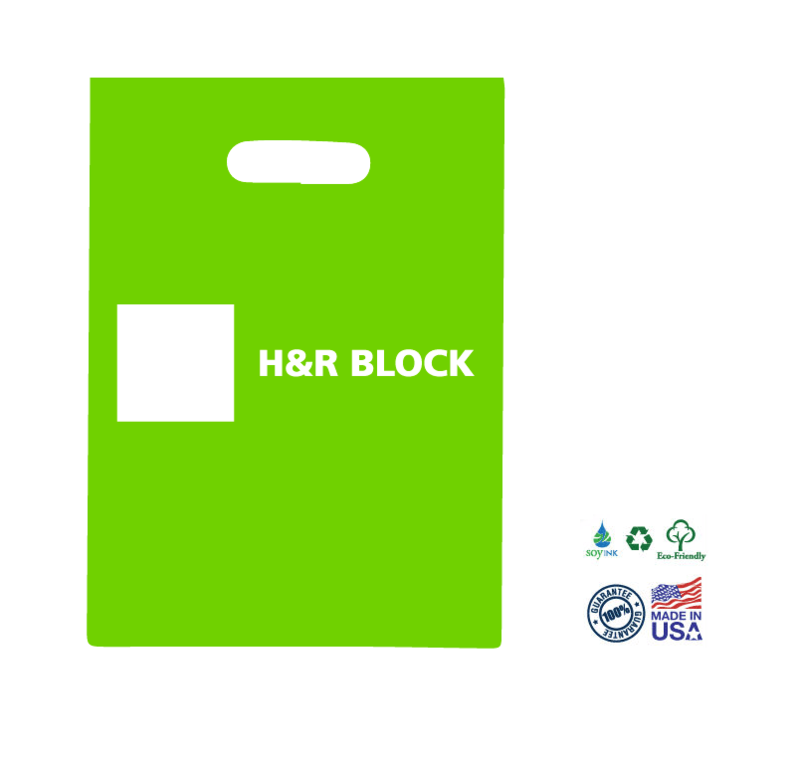 Handle openings are perforated for easy removal. 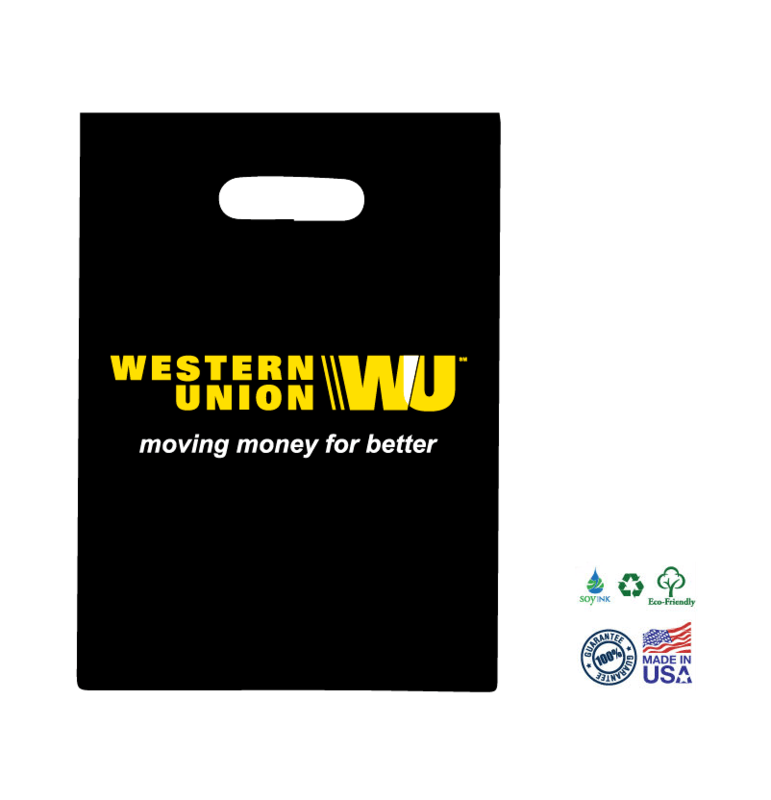 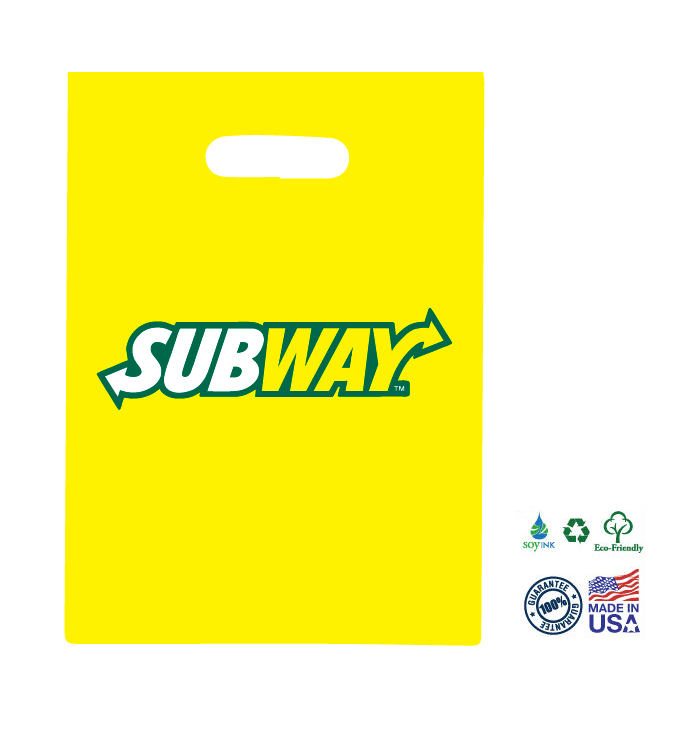 Great for job fair grab bags, parade goody bags, convention literature handouts, race day supplies and much more. 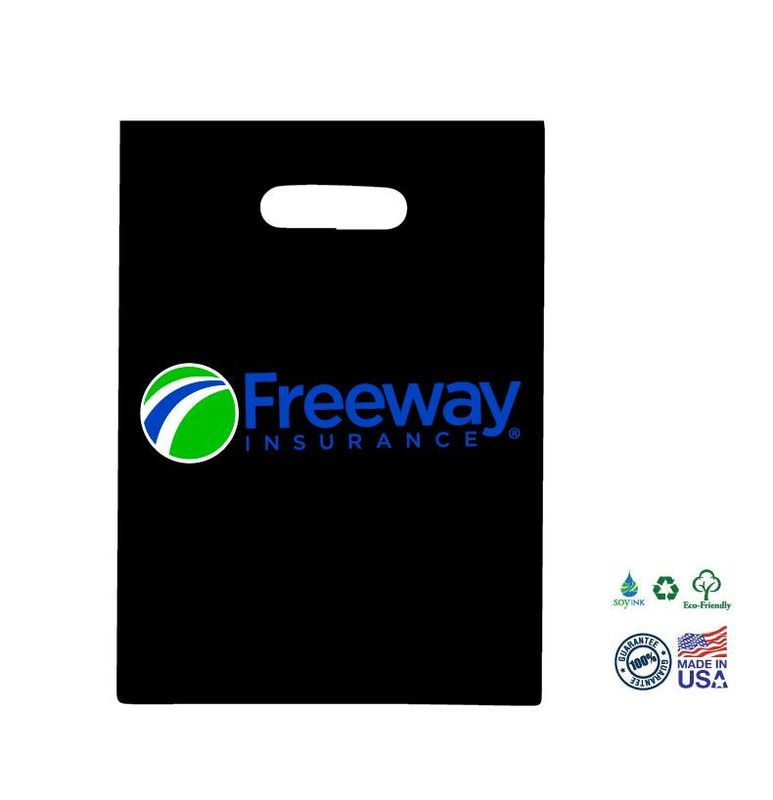 The bag safely decomposes in as little as two years, whether it finds its way to a managed landfill or it accidentally ends up in the water, the ditch line or any other outdoor environment. 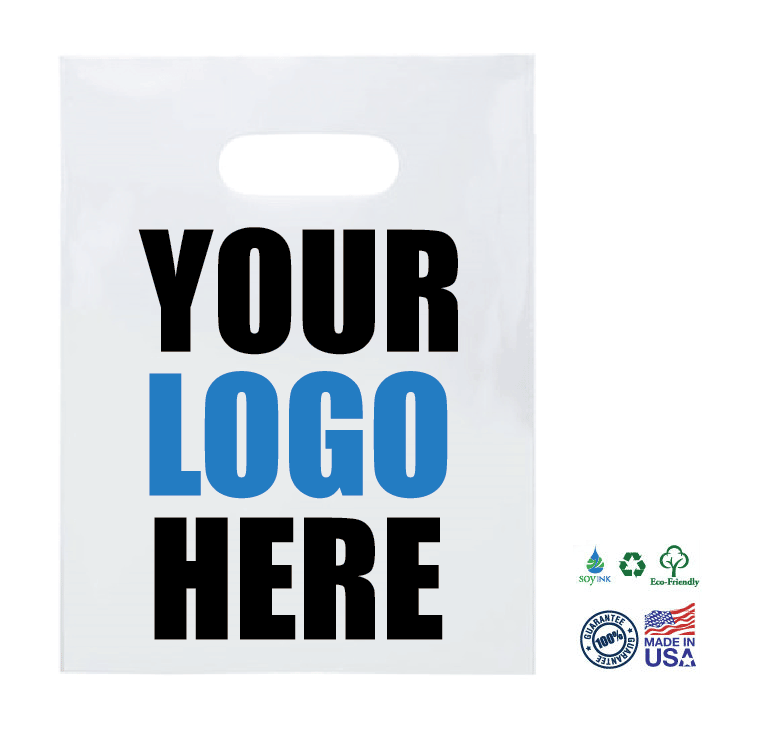 The bags degrade when exposed to heat, sunlight or microorganisms and do not emit any dangerous methane. 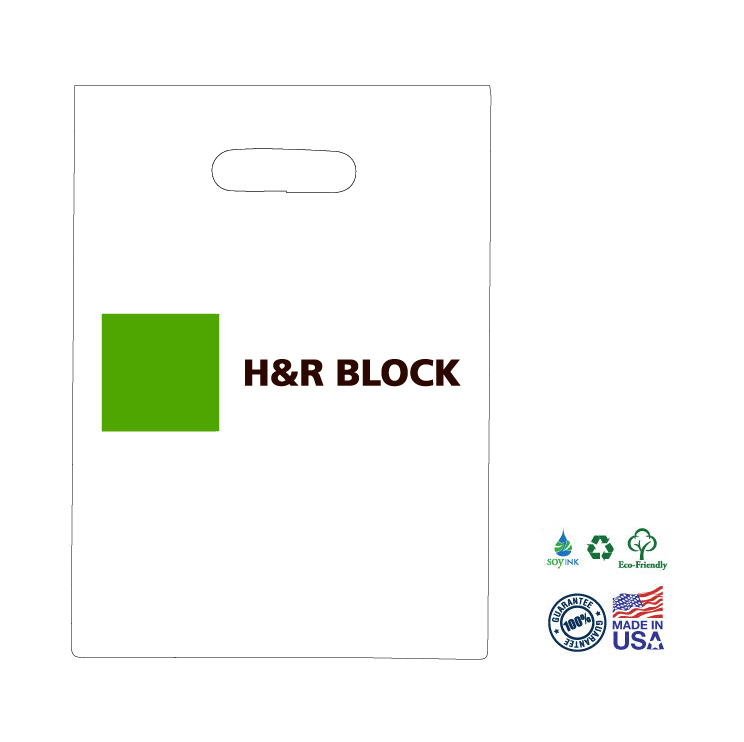 The bags should be used within five years of purchase and stored in a climate-controlled location. 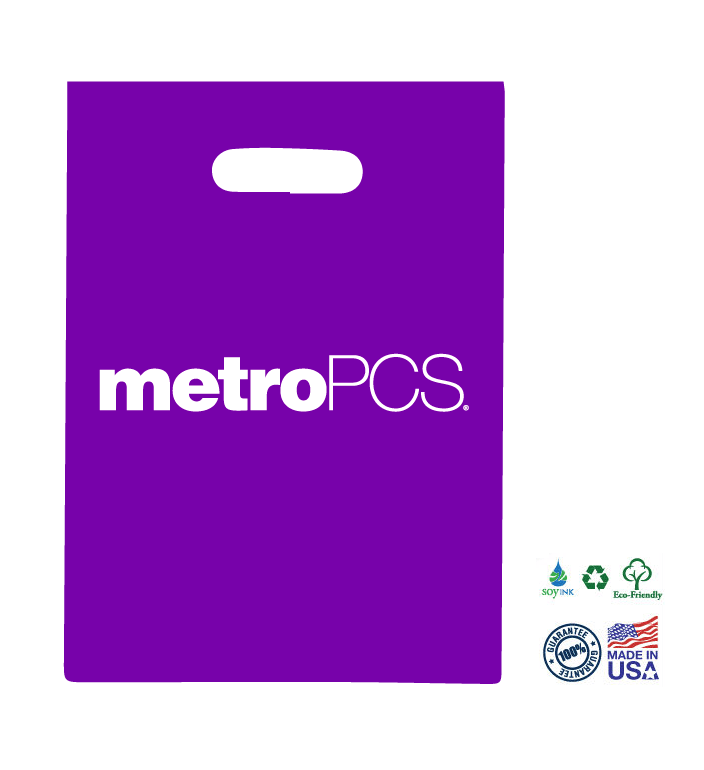 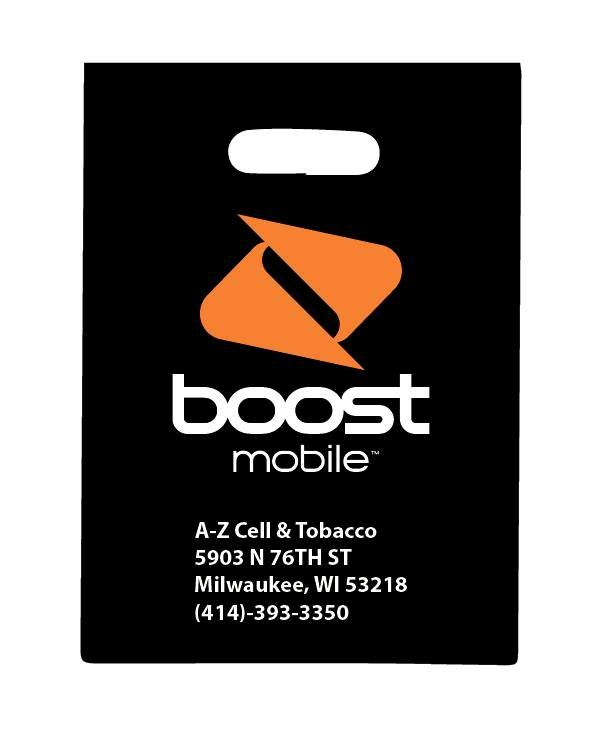 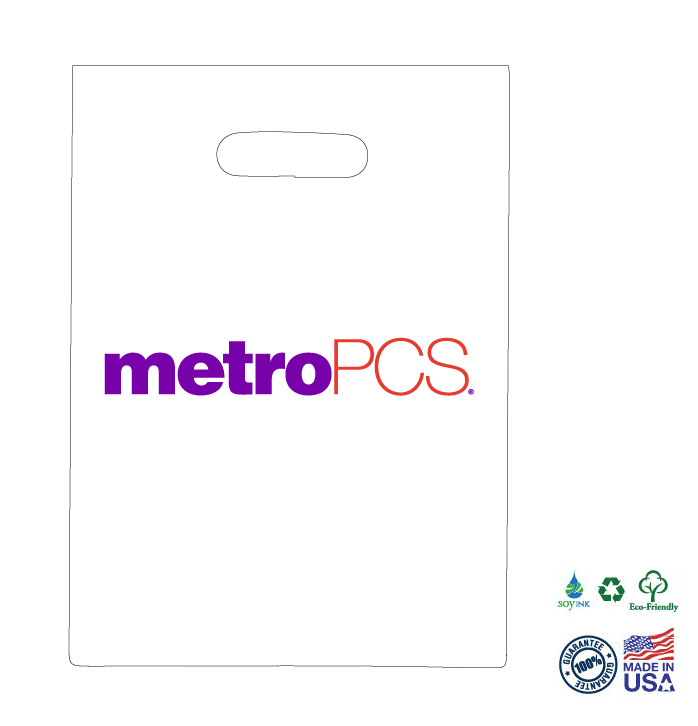 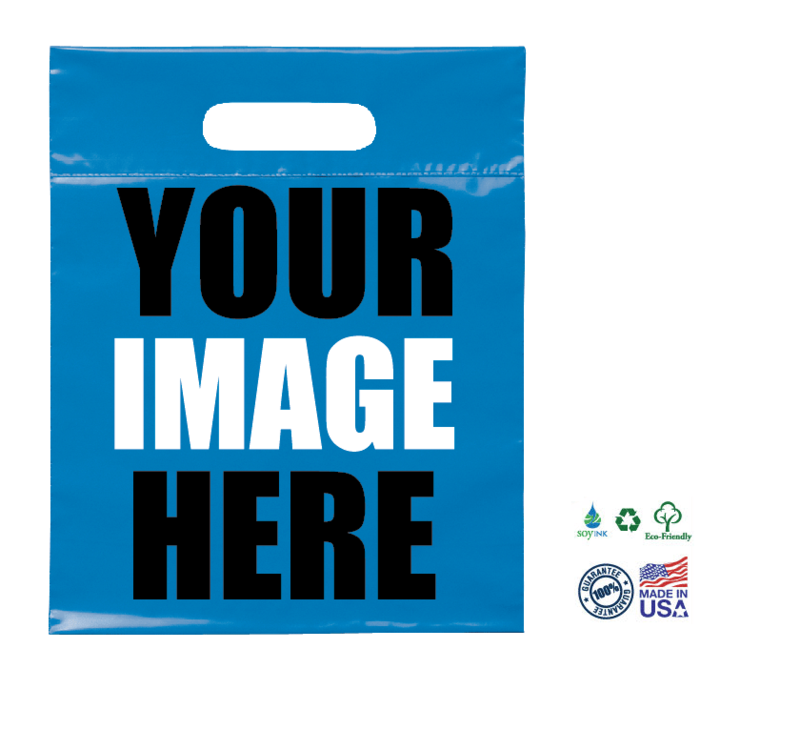 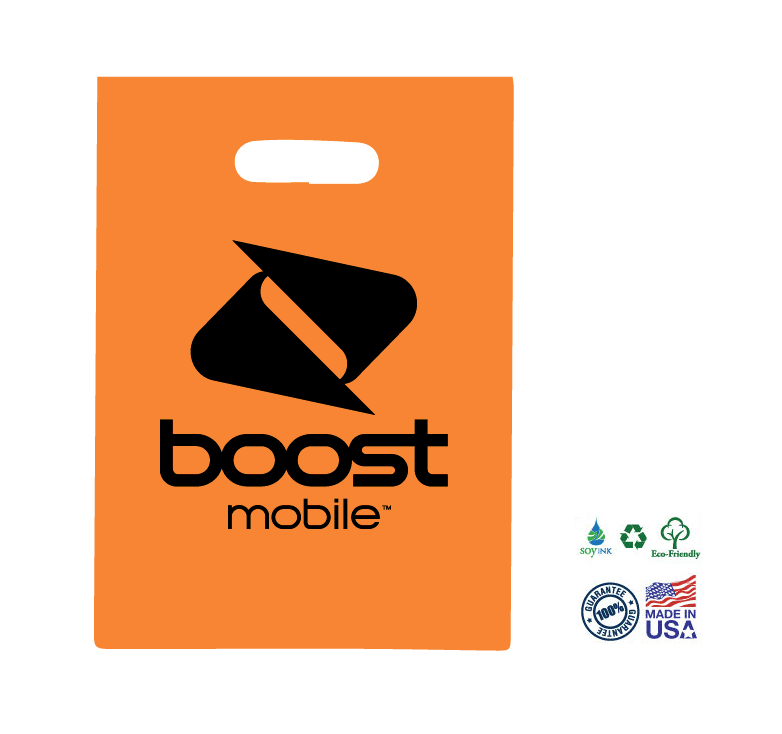 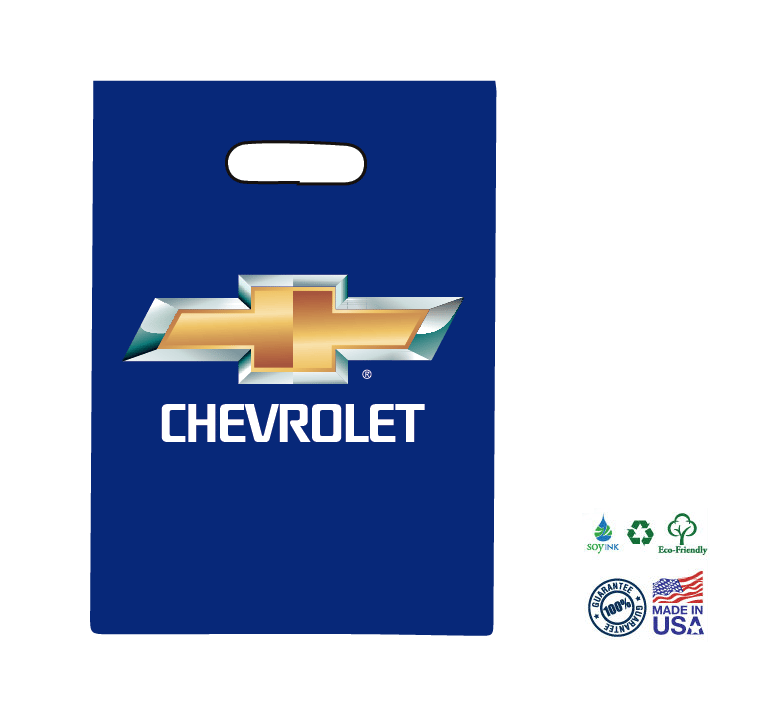 Your price includes a full-color imprint on the front of the bag.